Ref: Four sided nestable ‘A’ frame roll container. Four sided nestable ‘A’ frame roll container. 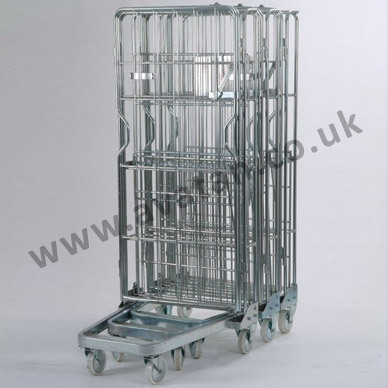 Highly mobile four sided roll pallet on 2 fixed and 2 swivel 125mm diameter castors. Of tubular construction with rod or mesh infill in back, sides and gate. 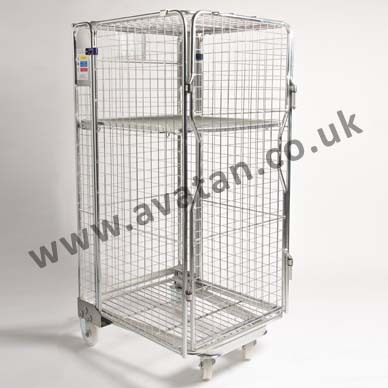 With all sides, gate, base and optional mid height shelf integrally hinged to the rear frame, this roll cage will nest and condense enabling approximately 150 nested units to fit on a 13m trailer for economical return loading. 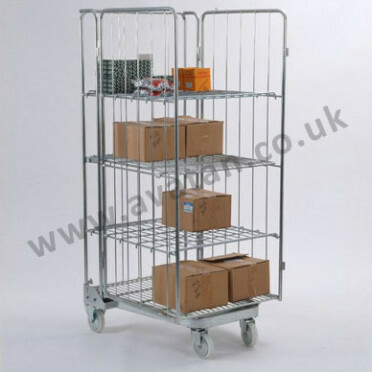 In highly durable bright zinc plated finish. 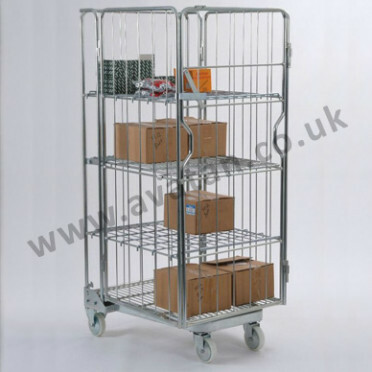 Two sided and three sided units and fully security roll containers also available. Please ask for details.